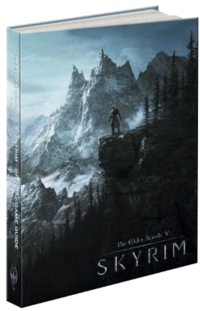 The Elder Scrolls V: Skyrim: Prima Official Game Guide is the official strategy guide for TES V: Skyrim, written by David Hodgson and published by Prima Games on November 11, 2011. There are four editions of the book: the First Edition, the Revised & Expanded Edition, the Legendary Edition, and the Special Edition. Each of these came in a standard paperback edition and a hardcover Collector's Edition. Complete walkthroughs of every story and side quest help guide you through the deep storyline; there are many choices that affect your game, and we cover them all! From the five major cities to the open expanses of wilderness and mountains, you'll never be lost with over 130 fully-labeled maps! Master the skills to battle dragons, forge the best weapons, and finish off foes with our thorough combat coverage. Customize your character: Every weapon, spell, perk, and ability covered. Plus, complete information on all 18 skill trees and detailed information on cooking, farming, and mining. A Champion for Skyrim: Multiple character builds based on hundreds of hours of playtesting reveal exactly what Skills, Perks, equipment, and other items to pick, and how to advance through the game, no matter the type of character you want to be. All Collectibles Gathered: If you're searching Skyrim for Skill Books, Unique Items and Weapons, every single Shout, Dragon Priest Masks, Treasure Maps, Unusual Gems, or even Captured Critters, we show you where every rare item is. The Atlas of Skyrim: A comprehensive tour of every single location, from the vast Hold Cities to the smallest woodland den. Every major exploration point receives a walkthrough flagging important items, with detailed maps throughout. Prowess in Combat: Every weapon, piece of equipment, and spell is detailed so you know which blade, bow, or incantation to crush your enemies with. Every type of combat is tactically analyzed, so you can better any foe in battle. Trainers and Traders: Skyrim is full of merchants to barter with, and trainers to further increase your Skill, Crafting, and Bartering proficiencies. Every alchemist, blacksmith, innkeeper, trainer, Khajiit caravan, and other vendor revealed. Followers and Friends: Build your friendships across Skyrim and locate every Follower with information inside this guide. Become a Thane. Own property. Marry your favorite Housecarl. Details inside. Free access to the interactive world map (code inside): The interactive world map includes over 150 location maps covering all 9 Hold cities. Each map shows the locations of every vendor, trainer, skill book, NPC, and unique item in the realm. You can toggle points of interest on and off and zoom in and out. 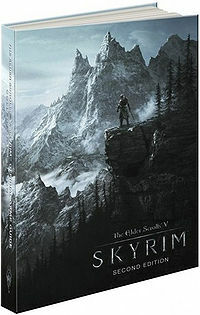 The Elder Scrolls V: Skyrim Revised & Expanded: Prima Official Game Guide has additional coverage of Dawnguard and Hearthfire. 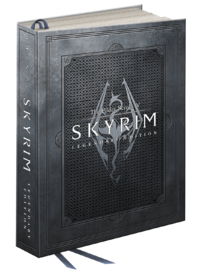 Add to your Skyrim collection – This 864 page guide is a fully revised version of the Official Game Guide for The Elder Scrolls V: Skyrim®, plus the robust Dawnguard™ and Hearthfire™ add-on content. All Dawnguard™ and new Side Quest outcomes revealed. In-depth knowledge on Hearthfire™ house building and adoption. Exploration and discovery – New game add-on content is completely explored and detailed so you get the best experience possible. Improve your character – Find out where all the new quests, best weapons, spells, and skill books can be found with updated maps. 100% Developer approved - The same reliable production team pours their heart and soul into the next chapter of The Elder Scrolls V: Skyrim®. 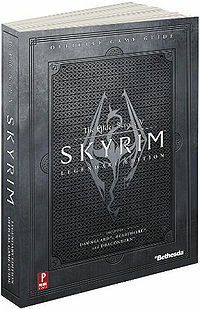 The Elder Scrolls V: Skyrim Legendary Prima Official Game Guide has additional coverage of Dawnguard, Hearthfire and Dragonborn. 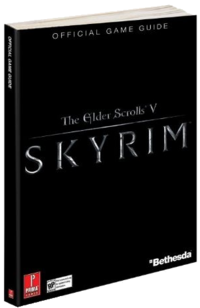 More than 1,100 pages – Complete, accurate, and Bethesda-approved content covering all game add-ons. Large 2-sided map poster – All Hold Capitals, Strongholds, and important locations labeled. More than 500 enemies and 2,000 items detailed – Exhaustive Bestiary and Inventory chapters detail critical data. More than 350 quests - All possible quests revealed with best outcomes highlighted. Over 250 collectibles gathered – Explore the main and hidden locations across Skyrim and Solstheim. 3,000+ hours played – Expert advice on character creation and tactical knowledge for the most difficult battles. Exclusive poster: 24" accordion style poster displaying Alduin's Wall and signatures from Bethesda Game Studios! Ribbon bookmarks: Use premium ribbon bookmarks to keep your place in this massive guide! Hardcover bound: This keepsake is protected by a stylized protective hardcover for collectors and fans. Updated eGuide access: Use the interactive world map, which now includes Solstheim and additional Dragonborn™ content. 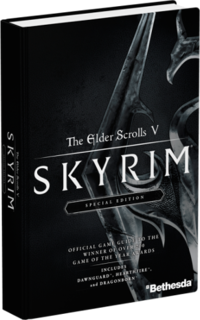 The Elder Scrolls V: Skyrim Special Edition Prima Official Game Guide has additional coverage of Dawnguard, Hearthfire and Dragonborn. 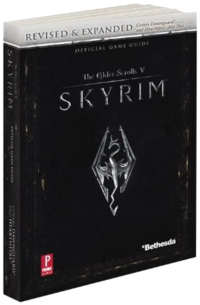 More Than 1,100 Pages: Complete, accurate, and Bethesda-approved content. Large Two-Sided Map Poster: All important locations labeled. More Than 350 Quests: All quests revealed with best outcomes highlighted. More Than 500 Enemies and 2,000 Items Detailed: Exhaustive Bestiary and Inventory chapters detail critical data. Free Mobile-Friendly eGuide: Includes a code to access the eGuide, a web-access version of the complete guide with access to an interactive world map. 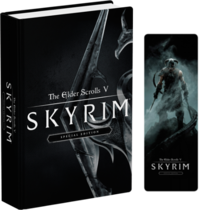 Dragonborn Bookmark: Keep your place in this massive guide with a deluxe bookmark featuring gripping artwork.